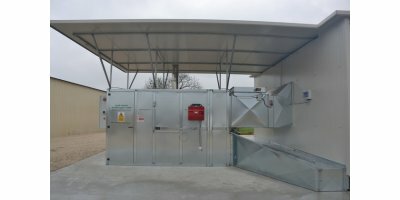 COMPACT Hay Dryer with heat recovery built with a grid made of concrete and an insulated greenhouse which dries 80 square bales of forage. 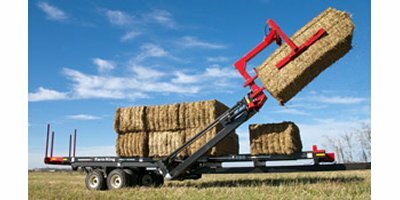 On the load-bearing grid customers can drive with their tractors/telescopics. 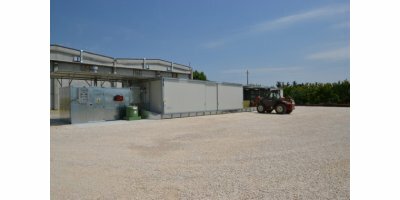 This COMPACT model's fan works with a DIESEL motor and is equipped with a combustion chamber of adequate power. 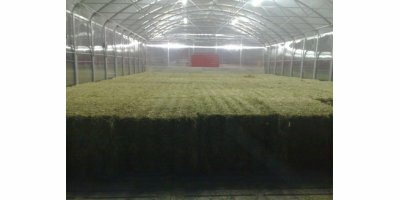 The Lastic Tube silage bale system is designed to protect and ensile hay and cereal forages of all types. 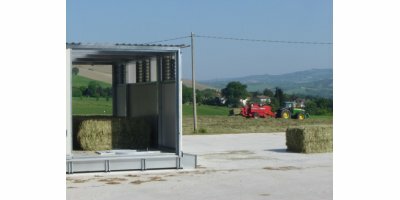 It can be used with round or large square bale systems, and will automatically shrink down tight against the bale to eliminate oxygen and create an ideal environment for fermentation. 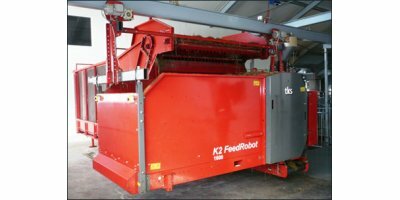 By Alison Agricultural Equipment based in Waynesboro, GEORGIA (US) (USA).